I could go on for ages about why I think Portugal is a wonderful place to visit but today I’m going to let someone else take over. 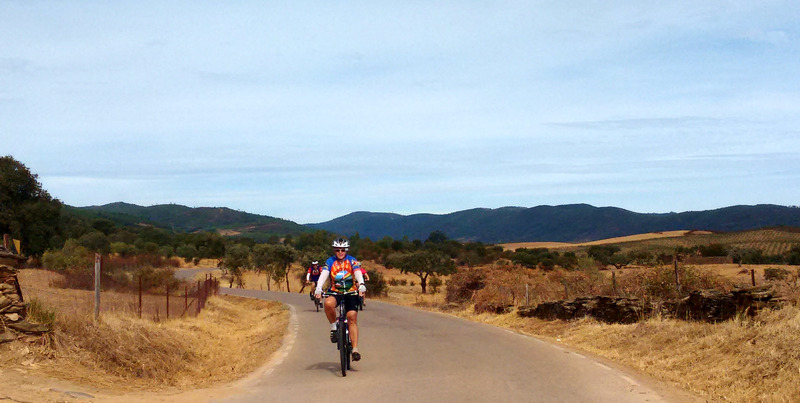 Bill Waters from Flagstaff, Arizona, spent 14 days in Portugal last month. 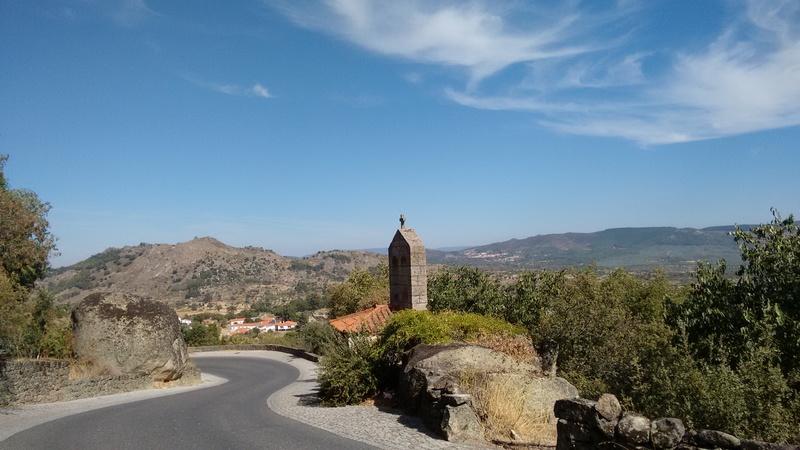 Riding Bike Fridays (folding bikes), Bill and his friend Jim covered 346 kilometres (215 miles) as they cycled from Coimbra to Porto – via my old home of Viseu. A detailed account of Bill’s experience is available on the Crazy Guy On A Bike website – click here to read Bill’s report and see some pictures from his trip. 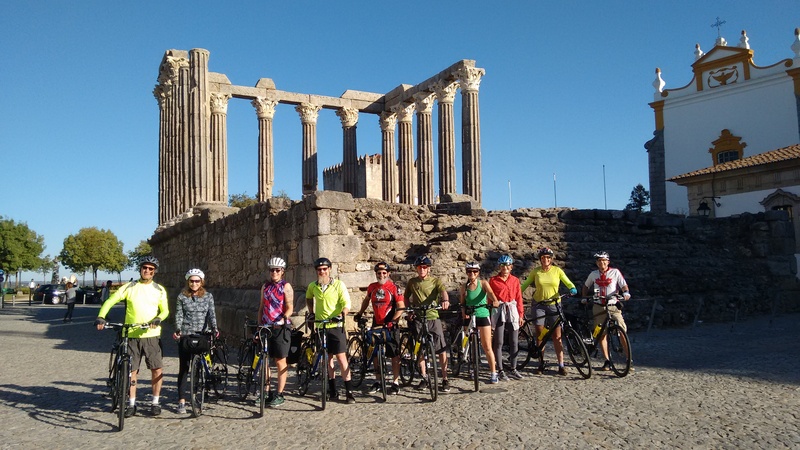 But Bill also kindly shared some thoughts on the experience with Pedal Portugal readers – including a fundamental question: ‘Why – why should I select Portugal to ride this year? What is there to see and experience? ‘My biggest joy was discovering a country and people that was delightfully different than my expectations. 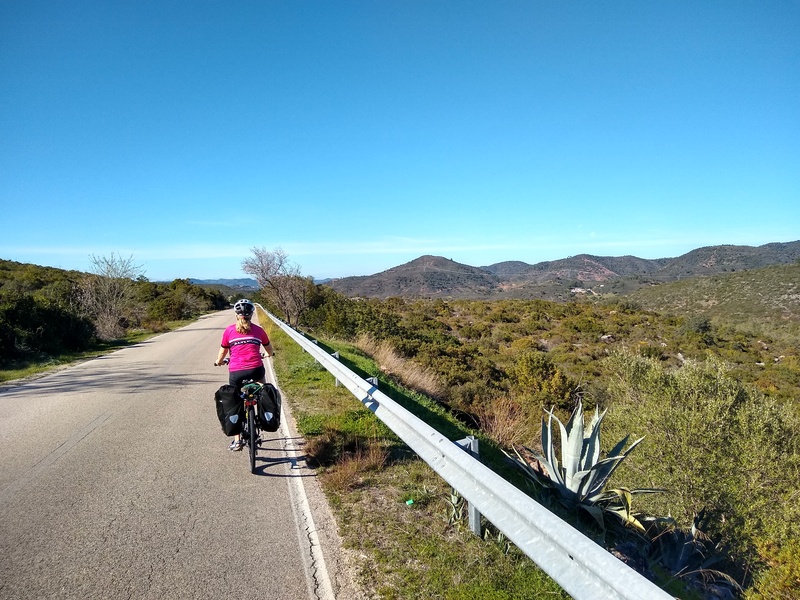 I enjoyed very much the general lack of over-packing the popular tourist sights (at least during the time of year I was there), the challenging country roads that took me through calm, varied communities with drivers that were very respectful of cyclists. Jim isn’t surprised by the gradient but by seeing a warning sign! Bill felt that Portugal isn’t widely known – much less understood – even by other Europeans. 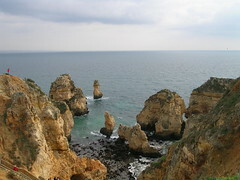 He commented: ‘I really did not know what to expect of the people and land of Portugal. I was delighted and charmed. ‘The land is rich with variety of terrain, vegetation, weather. There is adequate infrastructure for bicyclists… There are few shoulders but that is offset by overwhelmingly respectful drivers. There is a lack of road and street signs compared to the rest of Europe but it is somewhat offset by friendly people who will gladly help provide directions. 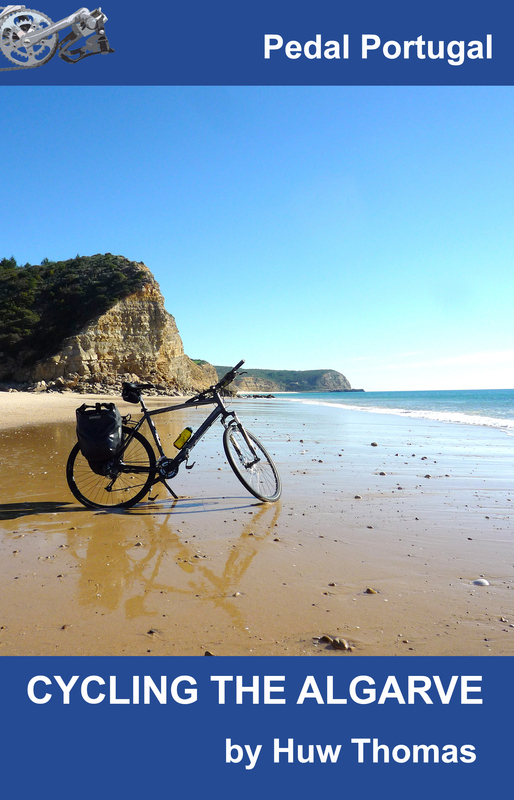 Bill discovered the hard way that Portugal isn’t flat and going cross-country involves many ridge-river-ridge-river rides. Lack of road signs – in both rural and urban areas – and decent maps was also an issue. ‘What I wished for improvement was detailed road maps – 1:200,000 – with the details of smaller back roads (Garmin GPS saved the day often and I should think a suggestion on your blog to needing GPS mapping would be essential). But despite the dearth of practical information, Bill says he’s keen to come back for more cycling, particularly from Lisbon south and across to Cadiz in Spain. It would be good to make Bill’s report the first of many. If any other riders would like to add to the information available and share their experiences, please get in touch!